It was hard to know who was more excited when Olivia Apatu and Alasaan Arzu won the Farmlands Pony of the Year this afternoon. Mum Sally didn’t know what to say, trainer Jesse Linton was proud as punch of his “perfect” student, fellow trainer Sally Clark was also extremely chuffed, and then there were Apatu’s friends. 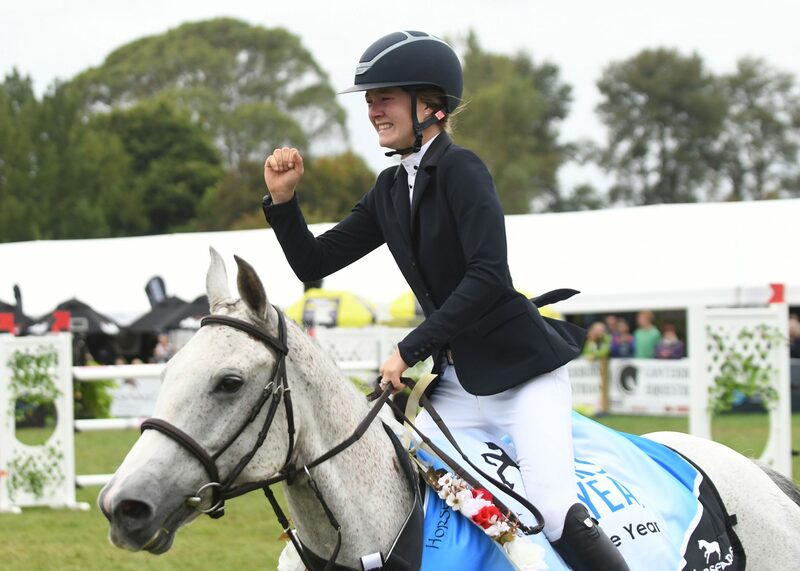 For the 14-year-old from Havelock North it was a dream come true to win the Somerset Fair Cup. She picked up four faults in the first of the two-round competition but a clear in the second propelled her into the jump-off against series leader Emma Watson aboard Maddox Fun House. Watson had gone clear in the first but took the last in the second round. Apatu was first to go in the jump-off and took an extra few moments just inside the premier arena with Linton, going over the course and getting a few last words of wisdom. She’s had the pony for two seasons and says the input from Linton has been invaluable. Ringside to watch her go was “inspirational” family friend Catriona Williams. “That was really special for me,” said Apatu. The family has already turned down offers to buy the pony. Linton describes Apatu as “the best student” a trainer could wish for. For Watson, who is moving to hacks next season, it was her last shot at a very illusive crown she so dearly wanted to win. Mum Melissa Rowe had won it in 1993 and it has long been a goal for her. Thirty combinations started today’s prestigious class with Watson and Sophie Scott (Wellington) and Benrose Playtime finishing the first round all clear. Judges brought back 10 combinations for the second round – two with clean slates and the remainder on four. In the second round, Apatu was the only clear. Farmlands Pony of the Year as part of the Country TV Pony Grand Prix: Olivia Apatu (Waipukurau) Alasaan Arzu 1, Emma Watson (Morrinsville) Maddox Fun House 2, Sophie Scott (Wellington) Benrose Playtime 3, Grace Manera (Christchurch) Tallyho Scoundrel 4, Ella Wylie (Invercargill) MF Spot Me 5, Ally Carson (Putaruru) Tiger Tale LS 6.